If you are looking to add some extra space to your home, maybe for a playroom, a dining room or simply a room to relax in, then a conservatory or orangery is the ideal solution for you. A conservatory creates a cost-effective way to increase the value of your home and provide you with all the space and light you need for relaxing, entertaining or just spending time with the family. 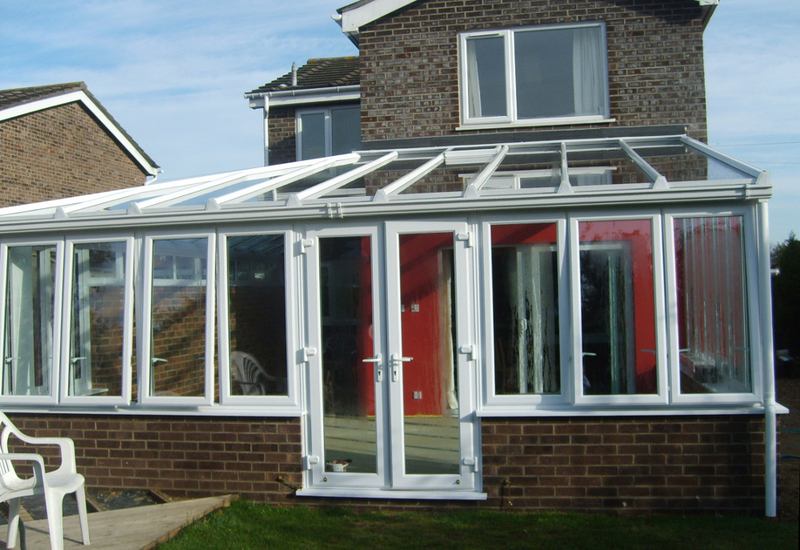 Your new conservatory will be manufactured from modern aluminium and PVCu/uPVC materials. Built to last, with a 10-year warranty to ensure it does not flake, rust, rot or peel, they are virtually maintenance-free and require nothing more than the occasional wash and/or wipe down with a damp cloth. 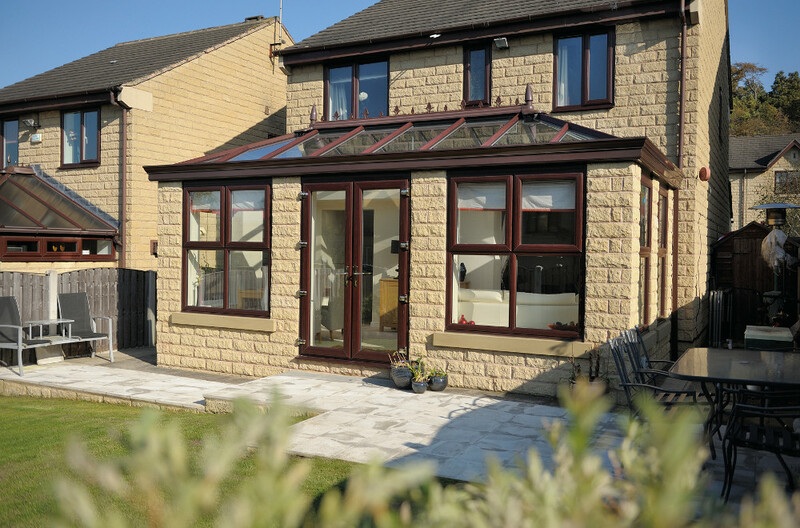 With a wide choice of styles and finishes, our conservatories will complement your home perfectly and provide you with an extension that you and your family will enjoy all year round. There are so many choices of conservatory designs available from a contemporary look to a classic traditional style, your conservatory can be custom built to meet your own needs, as well as suit the style of your property. To help you get the most from your new conservatory, the team of designers will give you all the guidance you require to find the style or design that’s right for you, and help you choose the ideal location that will maximise your enjoyment of your new living space. The experienced design team is on hand to talk you through the best configurations for your home to maximise light as well as comfort. Looking at the size of windows, roofing and types of doors. The other considerations are the types of brick (if required) and choice of colour (stock colours and specials available). Choose from a garden room or Regency, Victorian, Edwardian, lantern, gable, lean-to, combination or T, P and L shape conservatories. At First Home Improvements the security our conservatories offer you is just as important as their appearance and overall quality. Our doors have effective multi-point locking systems, key-locking handles and window security devices. 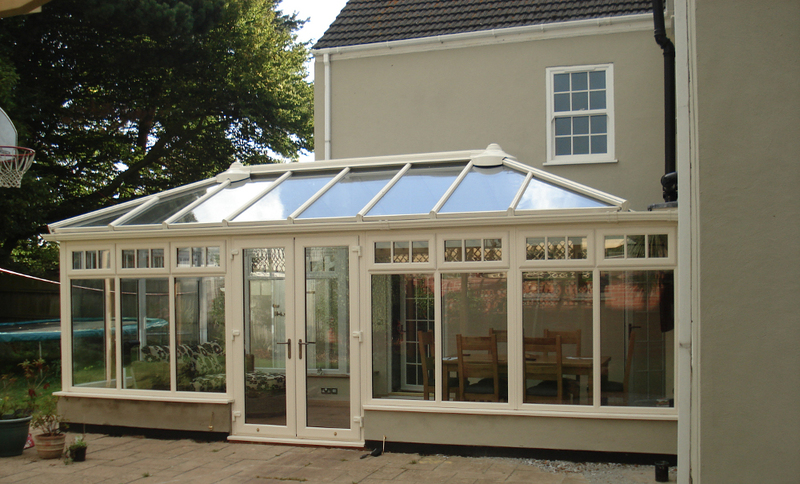 We use highest quality materials to build low-maintenance conservatories that are made to last. 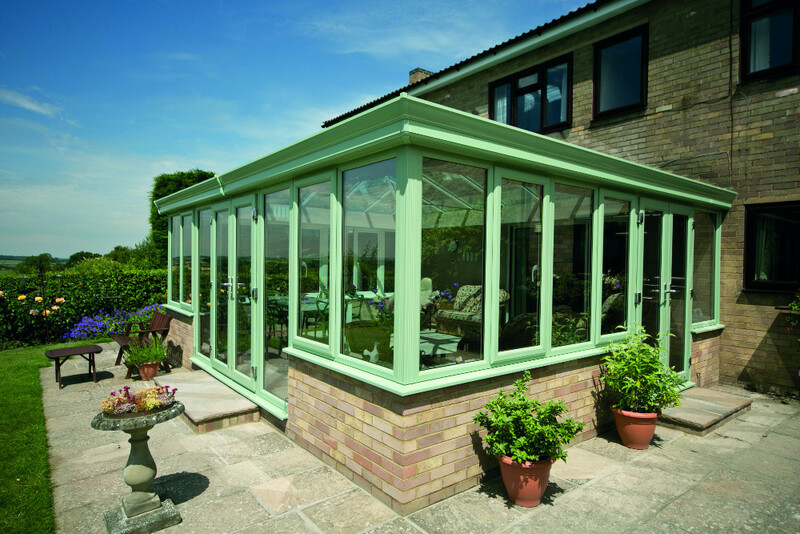 Our conservatory frames will never decay or rot. There’s no rusting of metallic fittings and no repainting required. They also benefit from a 10-year warranty. Take a look at the range of uPVC conservatories available, choose your style and personalise the configuration to best suit your property. Our design team will be on hand to take you through the process and help with creating the best configuration for you and your home. 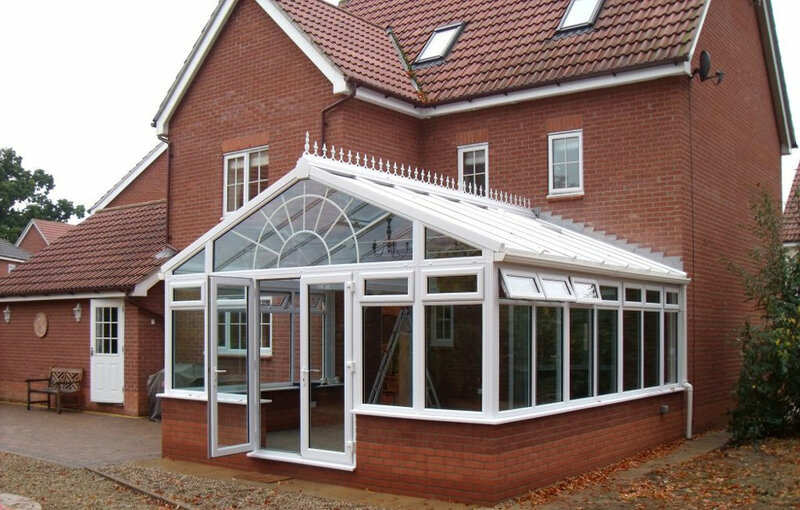 After you have seen the styles and types of conservatories that we can offer, you will probably have chosen some which interest you. The next step is to arrange an appointment for an adviser to survey the site and discuss your options further. Contact us to take the next step towards having your dream conservatory or orangery. Take a look at the range of uPVC conservatories below and decide which style, colour and type is best for your property, and for you. All our conservatories are supplied and fitted and are available in a range of materials and finishes. Contact us at any time for help and more information. The Lean-to conservatories range is the ideal choice for properties with little room under the eaves, or for those homeowners who prefer a clean and simple look. The pitch of the roof can be varied, making this a versatile and ever-popular option. 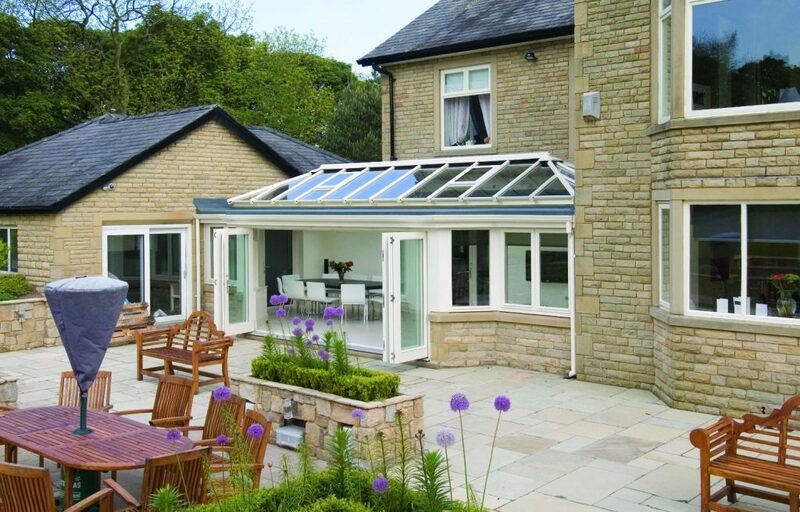 If you’re not sure about whether Lean-to conservatories are the right solution for you, arrange an appointment for an adviser to visit and all your questions will be answered. 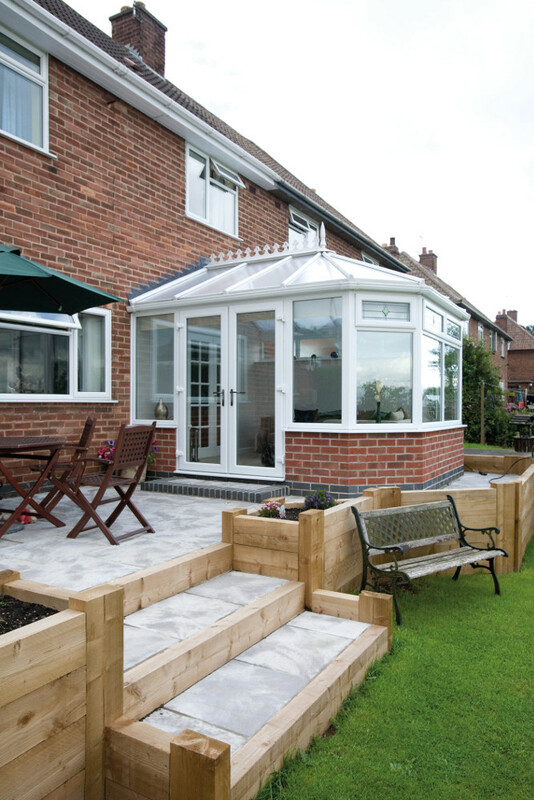 Although the shapes and designs of all of our conservatories are bespoke, you may have your own one-off or unique ideas. We combine uPVC doors, windows, and roof systems (glass or polycarbonate), using our expertise and experience to create customised uPVC conservatories to meet your specific requirements. Whatever your idea and however unusual the space you want to utilise, our design team will bring your ideas to life. The lantern style was the original design of conservatories. Now available in a modern range of finishes to match your existing uPVC doors and windows, the lantern projects grandeur and style. Distinguished by the two-tiered feature roof, the height within lantern conservatories adds extra dimensions of light and space. It’s a popular choice for giving an open air feel to indoor swimming pools. To discuss lantern conservatories and how they can be used to create a space for many purposes, contact us and we will be happy to advise you. A rectangular shape covering the same area as the Georgian style, gable conservatories make excellent use of available internal space. The apex comes right to the front, rather than the front panel sloping backwards, giving a greater height to the structure. A choice of finishes on the uPVC doors and window frames adds to the aesthetics of the Gable conservatories. 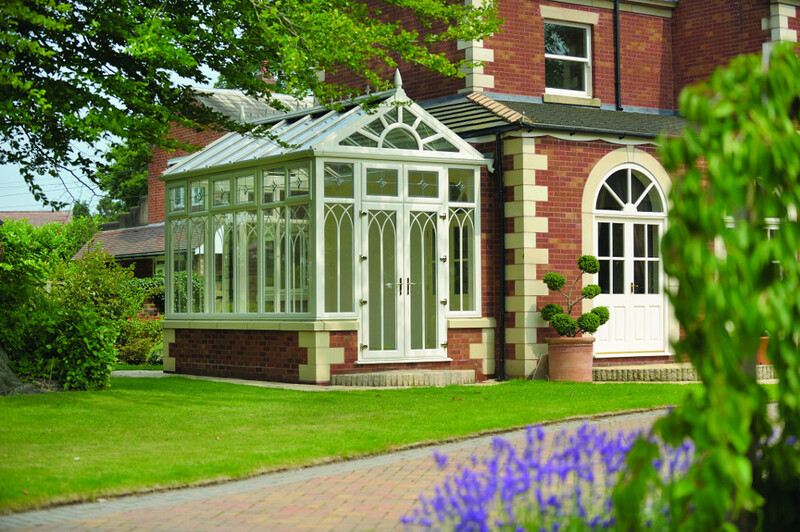 T-shape conservatories can have the height of a gable design, the period elegance of the Victorian conservatories, or the appeal of the square Georgian style lines. T-shape designs offer you a large and versatile floor space that can be put to many uses. The skills of our design team, and the experience of our fitting technicians, means that even large and elaborate conservatories blend in with existing buildings. A choice of materials and uPVC finishes ensures T-shape conservatories become part of your home and are an impressive addition to your property. P-shaped conservatories have a versatile design that can combine elements of the lean-to and the Victorian conservatories to create a visually stunning appearance covering a large space. The proportions are ideal for people with larger homes looking for an impressive way to add additional aesthetic and functional rooms. When considering P-shaped conservatories it’s important that you get expert advice and information on how you can make the best use of the space that you have available. You can make an appointment for a First Home Improvements adviser to visit your home by using the contact information at the bottom of this page. Make the most of your available space with flat fronted, square or rectangular shaped uPVC conservatories with a Georgian style. The simplistic styling, and the sloping roof, give a traditional look that complements even the smallest building. This makes the Georgian style conservatories suitable for all sizes of properties. The uPVC doors and window frames are unobtrusive and give a clear outward view whilst using incoming light effectively. The Georgian conservatories can be designed to add an enticing additional room to a smaller property, or to create a large conservatory for a home with modern styling. A very popular style for conservatories that has a faceted front which gives a curved appearance. The ornate design offers splendour that will blend in with any property exhibiting the magnificence of past eras. Modern properties, with a stylish or elegant exterior decor, will be complemented by our Victorian uPVC conservatories. Their curved shape creates an interesting feature on straight walls, and softens the appearance of block shaped buildings. Talk to us to find out what a Victorian conservatory could do for your home by using the contact details below. All our showrooms have experienced and trained personnel who have years of experience in the design, construction and implementation of uPVC conservatories. This is backed up by our head office support team in Lenwade, near Norwich.